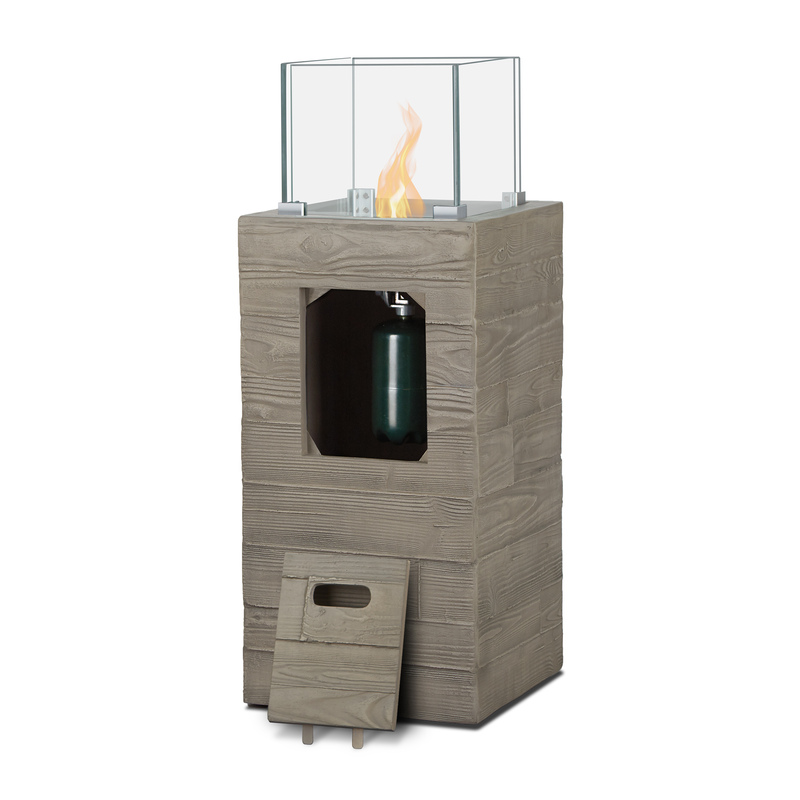 The Board Form fire column is part of the Board Form collection and features a unique texture from hand-built wooden molds. 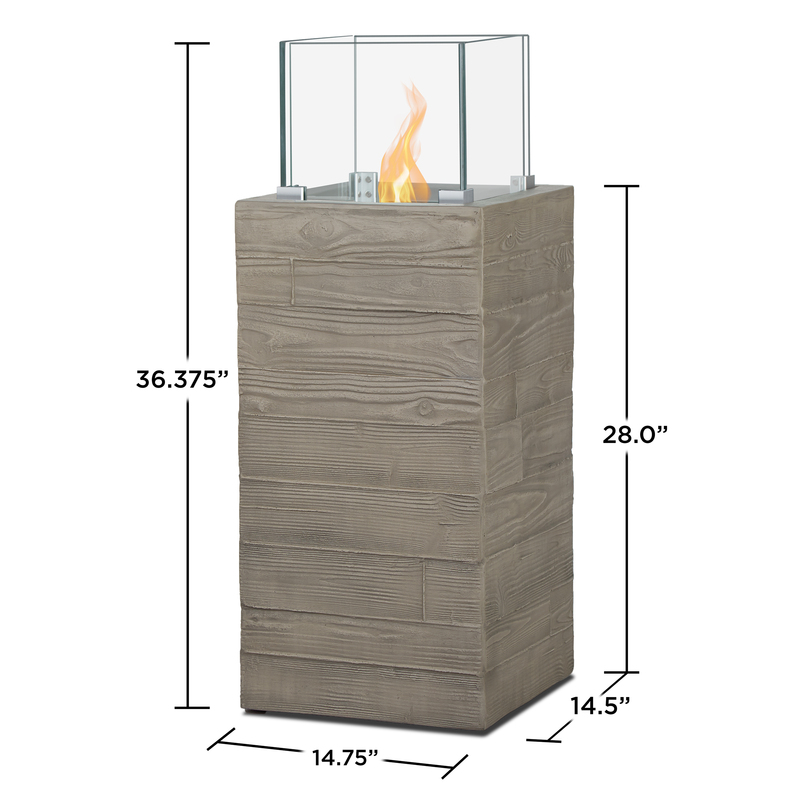 The fire column, made of fiber-cast concrete, offers warmth and ambiance with 10,000 BTUs of heat. 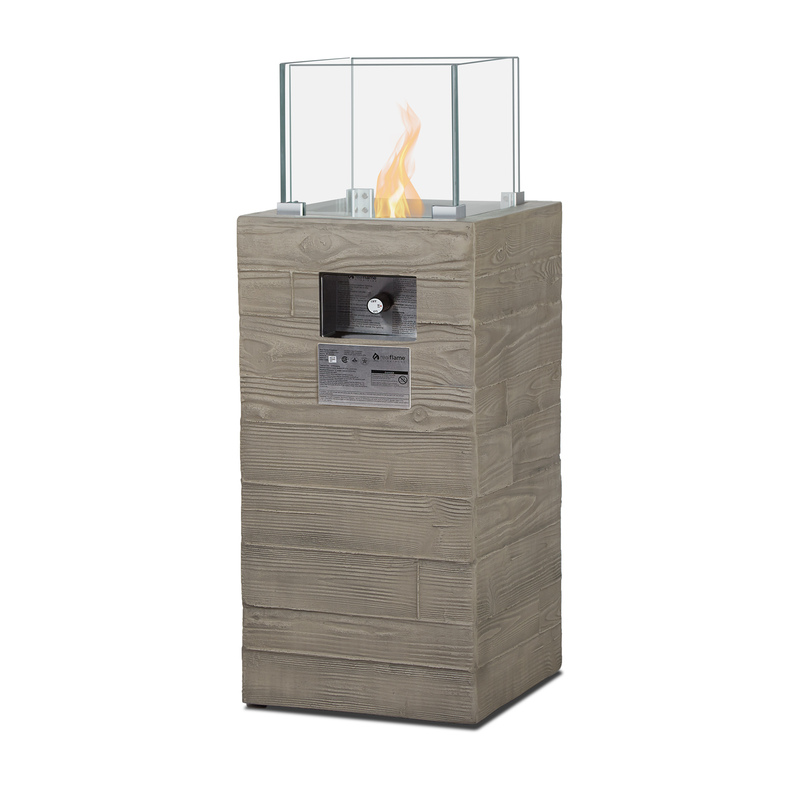 Features include match light ignition, leveling feet, black fire-glass filler and vinyl cover. 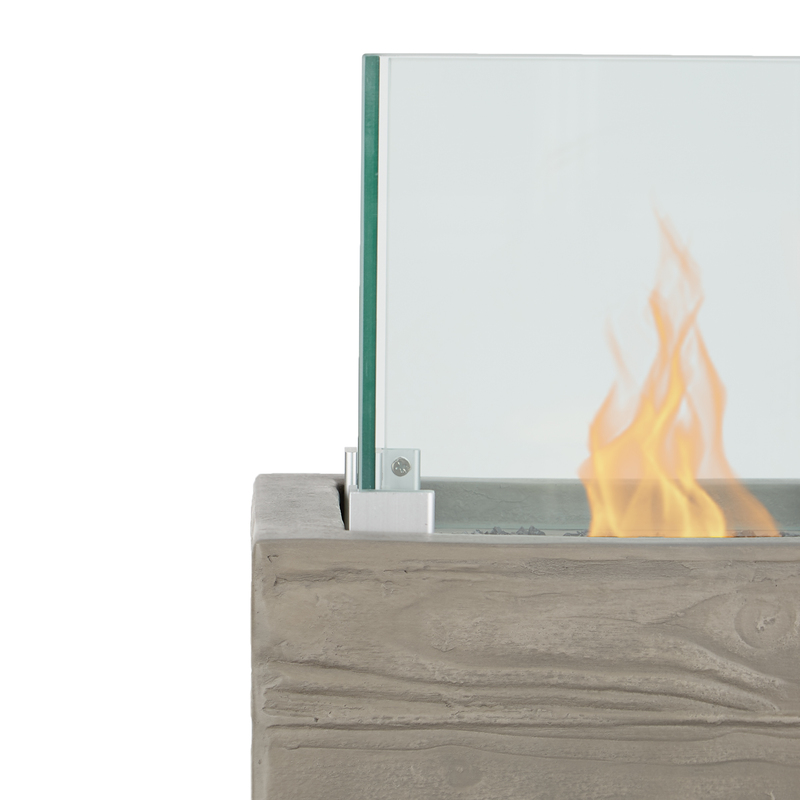 Includes: LP fire column, glass panels, 10,000 BTU burner, black fire glass, and protective vinyl cover. Limited Warranty: 1 year on fiber-concrete finish and 1 year on all components.